Elections in Russia: Why Putin is So Popular? Recent opinion polls show that current President Vladimir Putin should win between 65 and 70 percent of the vote in Russia's elections next Sunday. In June 2017, a survey by the American think tank Pew Research CThrough populism, Putin became the great protector of the nation, which revives its grandeur before Western opponents. "This all works very well with the population. 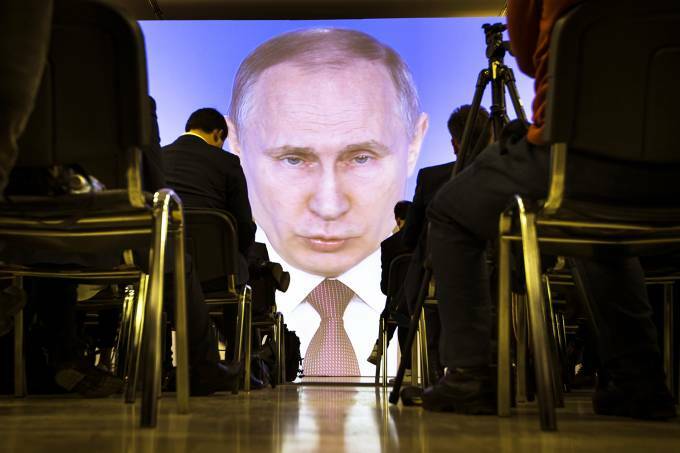 It is calculated to gain more support, "says David White of the Center for Russian, European and Eurasian Studies at the University of BirmiThrough populism, Putin became the great protector of the nation, which revives its grandeur before Western opponents. "This all works very well with the population. It is calculated to gain more support, "says David White of the Center for Russian, European and Eurasian Studies at the University of Birmingham in England. The annexation of the Ukrainian peninsula of the Crimea to the Russian Federation, for example, and the interference in the Syrian conflict are measures that are part of the nationalist agenda and that have the approval of a large part of the population. Putin's image is also driven by the state-controlled local press. Alternative sources of information in the country are small and have almost no space, and most Russians inform themselves through television, which paints a perfect picture of the president's leadership. The power of the media directly influences the electoral campaigns of its opponents, who pose no threat. "Opposition candidates are barely able to get their messages across," says David White.enter indicated that 87% of the population trusted Putin as a leader. The president's popularity would be unimaginable in any of the great western nations, especially for someone who has been in power for 18 years. While there are a number of fraud charges against government-controlled research centers, most experts believe that their approval in the country is indeed sweeping. But why? His predecessor, Boris Yeltsin , assumed the presidency with great promises of modernization and growth after the fall of the Soviet Union in 1991. His era, however, was of great disappointment and hardship for the citizens of the largest nation on the planet - with economic collapse, inflation very high drop in life expectancy, public health disaster, high crime and oligarchies. It was already expected that the transition from communism to a capitalist economy would not be simple, but the expectations of the population were very high. And then came the Putin era. The president nationalized the large oil companies that had been privatized and regained power from the oligarchs. The years that followed were of great economic growth, largely due to the appreciation of the price of the barrel of oil - the main base of the Russian economy - in the world market in the years 2000. The government cashier was used to invest in the human sector and for the first time a middle class began to emerge. With greater economic and political stability, citizens' lives have improved considerably and the president has won all the credit for the change. 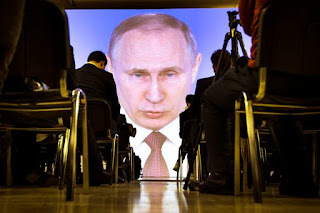 "The citizens are totally grateful to Putin for all this; he came to be seen almost as a religious figure, "says Mohsin Hashim, a professor of political science and Russian expert at Muhlenberg College in the state of Pennsylvania, United States. However, with the global crisis of 2008, the Russian economy again faced big problems, and Putin, new charges. However, he had another great letter up his sleeve when he returned to the presidency in 2012 after taking a break and taking the premier's job: encouraging nationalism and patriotism in the country. The president drew closer to the Orthodox Church and once again promoted Russia as a great, powerful, conquering power, as did the former Soviet Union. Putin employs and talks about the symbols of Tsarism frequently and has brought the Soviet anthem back, implanting its melody in the national anthem. "He does not revive communism, but revives this idea of ​​Russia as a great power," says Hashim. In addition, Putin resuscitated the rejection of Western values ​​among the population, which still had patriotic remnants of the Soviet era. The Kremlin uses the failure of the Yeltsin era to encourage antipathy by the European Union and the United States, which the government says have "stolen" some of Russia's satellite countries and brought the economy to a collapse. The sanctions used by the Europeans and Americans are also used to create the image of an external enemy, who wants to harm the Russians at all costs. The Kremlin also does everything it can to ensure the leadership of the current president. Candidates considered a threat are prevented from running for election by the Central Election Committee . "In his government, Putin weakened civil society. There are reports of brutal attacks on individuals and even assassinations of political opponents, "says political scientist Mohsin Hashim. The opposition leader Alexey Navalny had his application denied for past criminal convictions , but ensures that the election is a sham and that the decision was politically motivated. Without strong opposition, Putin has the free path to re-elect. Among the candidates for Sunday's election , the one who should win more votes after the current president is businessman Pavel Grudinin , of the Communist Party, who has only 8% of intentions.